Like most major sporting events, the ICC World Cup is replete with examples of match-winning efforts, performances that turned contests on its head. At the same time, there were acts, which, though superlative, were not good enough. Players, despite trying their best, failed to take their respective sides past the finish line. Rediff.com takes a look at a few brilliant efforts which, unfortunately, were in a losing cause. To begin with, we have the most successful batsman in the history of the tournament. In the 2011 edition Sachin Tendulkar was expectedly among the runs, aggregating 482 in nine matches. However, on the two occasions he got past the three-figure mark, it wasn’t enough to see India through. While the hosts did manage to tie the match against England in Bangalore – where SRT scored 120, they weren’t as fortunate against South Africa in Nagpur. Batting first, India put up a formidable 296, the ‘Master Blaster’ playing a crucial part in the same. His 101-ball 111 was inclusive of eight boundaries and three sixes and the most significant contribution in the innings. He added 142 (off 106 balls) for opening wicket with Virender Sehwag (73), and another 125 (132-balls) for the second with Gautam Gambhir (69). However, eventually it wasn’t enough. After that solid start from Tendulkar and Co, Dale Steyn (5-50) ensured the hosts did not get past the 300-run mark. Valuable contributions from Jacques Kallis (69), Hashim Amla (61) and AB de Villiers (52) then helped the visitors win with two balls to spare. That was India’s only defeat in the tournament that witnessed Tendulkar finally lay his hands on the trophy, on his sixth and final attempt. Another performance of note in the 2011 edition; this one came in the final. Mahela Jayawardene’s unbeaten 103 at the Wankhede stadium was a superlative effort. Coming to the crease when Sri Lanka were 60 for two, in the 17th over, the elegant batsman faced 88 balls in what was a batting masterclass, helping Sri Lanka to a formidable 274 for six. However, Gautam Gambhir (97) and Mahendra Singh Dhoni (91 not out) ensured Jayawardene’s effort came to naught, in the process ending India’s 28-year-old wait for the coveted trophy. This is the only 50-plus score in this list. 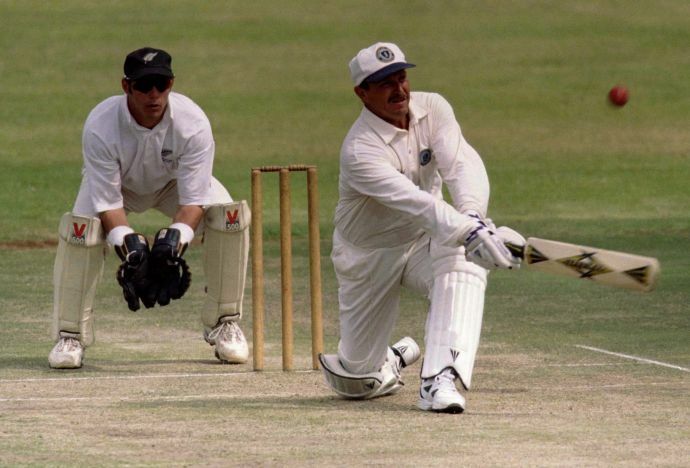 In the 1992 edition, co-hosts New Zealand surprised everyone, including themselves, with their run in the tournament. The Black Caps won their first seven matches to ease into the semi-finals. Leading from the front was their astute captain. Martin Crowe finished as the highest scorer (456 runs) and was named the player of the tournament. Having started with an unbeaten 100 against Australia, Crowe scored a vital 91 (83 balls) in the semi-finals against Pakistan at Eden Park, Auckland, adding 107 runs for the fourth wicket with Ken Rutherford (50), as New Zealand managed a formidable 262 for seven. However, Crowe strained his hamstring during the innings and was unable to take the field in Pakistan’s reply. Without their captain, the Black Caps, despite making early inroads, failed to close out the game. The experienced Javed Miandad (57 not out), with an aggressive Inzamam-ul Haq (60 off 37 balls) for company, ensured Pakistan won with an over to spare. Another instance from the 1992 edition; this one was one of the early matches in the tournament. Zimbabwe, still in an infant stage in international cricket, put up a spectacular show with the bat against Sri Lanka at Pukekura Park, in New Plymouth. Leading the way was the redoubtable Andy Flower. The opener scored an unbeaten 115, and his unbeaten 145-run stand with Andy Waller (45-ball 83) for the fifth-wicket ensured Zimbabwe reached 312 for four in their stipulated 50 overs. However, their bowlers failed to build on the good work of their batsmen, allowing Sri Lanka to scrape through by three wickets, with four balls to spare. Nonetheless, Flower was named the player of the match. How many times has a player from the losing side won the honour? Finally, to the innings that probably induces the most sympathy. 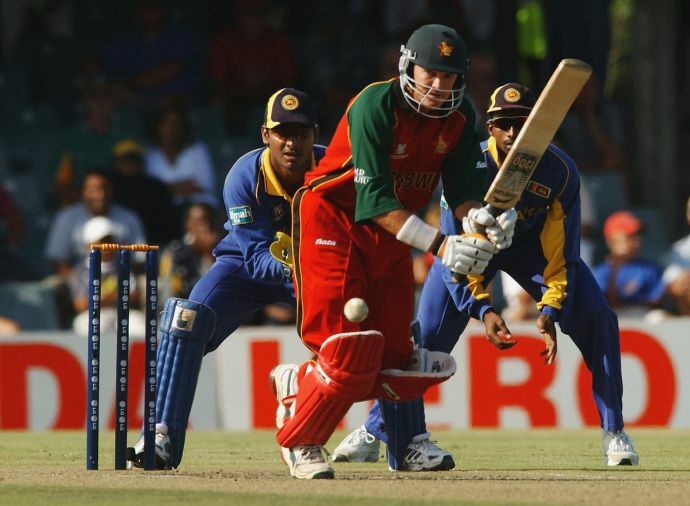 David Houghton almost single-handed took Zimbabwe to a memorable win over New Zealand at the Lal Bahadur Shastri Stadium, in Hyderabad. 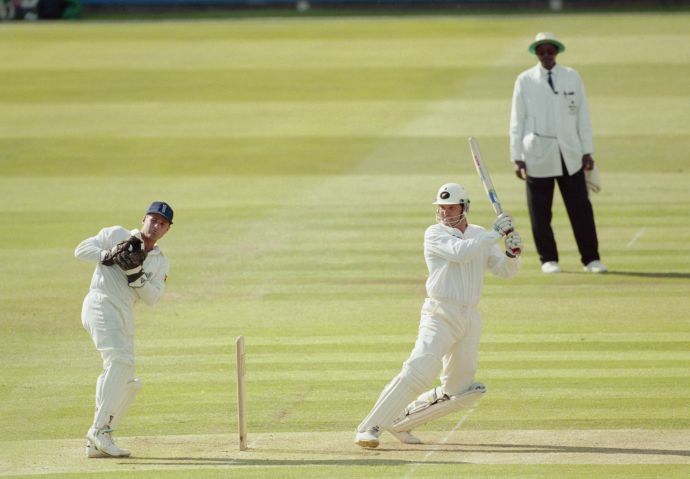 Batting first, the Kiwis scored 242 for seven, thanks largely to Martin Crowe’s 72. Houghton came in to bat at No.3 but could only see his team collapse to 104 for seven. Thereafter, he took control, scoring at an impressive rate (103.64). His 137-ball innings was inclusive of 13 hits to the fence and six over it, and his 117-run eighth wicket stand with Ian Butchart (54), took Zimbabwe to cusp of a win. However, Martin Snedden bagged the coveted wicket, and a couple of needless run-outs, ensured New Zealand scraped through. Houghton’s effort albeit remains memorable to this day.